Last post we talked about how to start to reject the diet mentality and this week is all about honoring your hunger! This past weekend was spent eating lot of big breakfasts with pancakes, watching Games of Thrones, sleeping in, Thai food, and a solo hike here. While I love traveling and having guests, sometimes we all just need a second to chill. I feel relaxed and not tired for once! Woohoo! I wanted to talk about honoring your hunger this week. This is a technique I use daily and one that is essential when learning to become an intuitive eater. It is even more important for me, in particular, on the weekends, when I tend to sleep in more and my meal times are way off (today I ate breakfast at 11 am). It is all about noticing when you are hungry, and then making sure you eat! So, let’t talk about honoring your hunger! First, the biggest part of learning to honor your hunger is to eat when you are hungry. 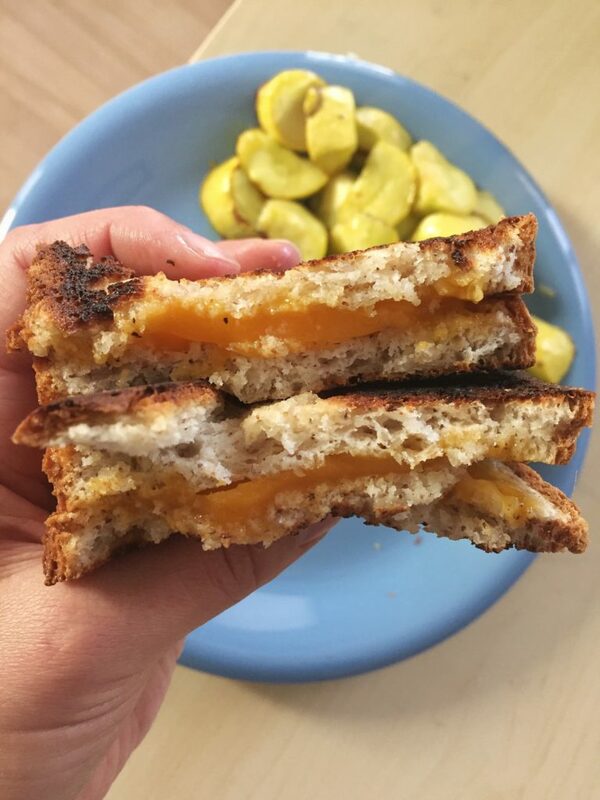 BOMB grilled cheese sandwich before my hike! 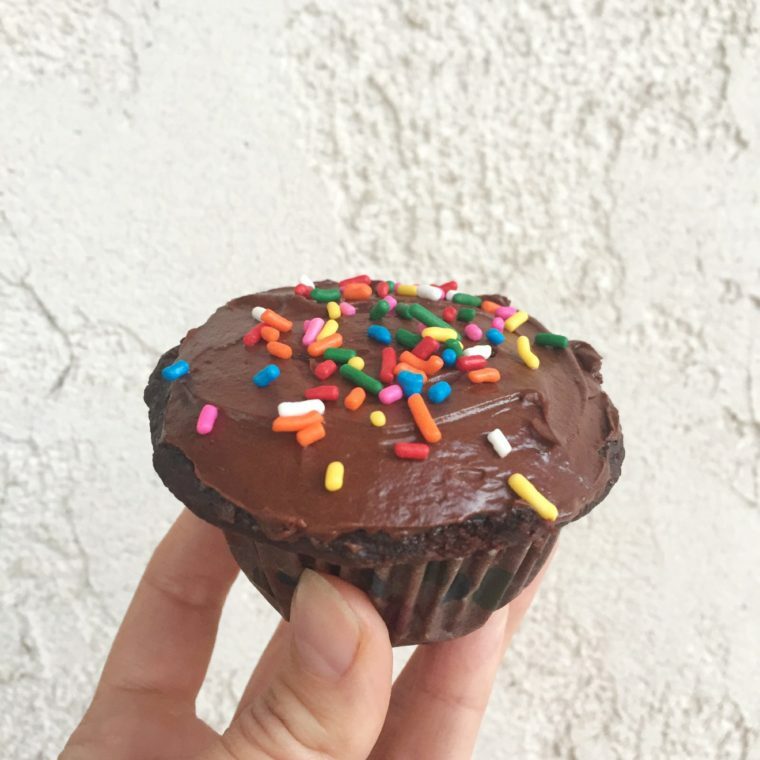 Before I started this intuitive eating process, I found myself telling people all the time, “if you are hungry, eat!” So often, women in particular, would be like really? Are you sure? The answer is still a clear and resounding YES! But why should you be eating when you sense hunger? There is a chemical in your brain called neuropeptide Y (NPY). The secretion of NPY triggers a desire to eat carbohydrates, which is your brains preferred fuel source. If you don’t eat, NPY steadily increases, which can lead to cravings and subsequent over consumption of carbohydrates. Conversely, if you ARE eating enough carbohydrates, the amount of NPY is decreased. Thus, putting a stop to your desire for carbohydrates, and decreasing your appetite. This is important because if you are someone who is consistently dieting, or not eating when you are hungry, you may find yourself obsessing over food, particularly carbohydrates. Think about it. The last time you were hungry, did you crave a huge bowl of pasta? Rice? Pizza? Macaroni? I know I do. This is because your brain is saying, give me carbohydrates nowwww! When you eat those carbohydrates, your body absorbs them as glucose (a sugar). Glucose is then used for energy in your daily activities. If you are constantly dieting and your body is not getting enough energy from carbohydrates, your muscles will start to be broken down to be used for energy. Additionally, if you aren’t eating enough in general (ie low calories/energy), your body will start to break down muscle tissue to provide energy. Often people think if they under-eat, their bodies will just take their fat stores and burn through those. However, you can’t choose what material your body breaks down first. It is a lot easier for your body to convert proteins (muscles) to glucose than it is to convert fat to glucose. You may end up loosing muscle mass, which is NOT good. So carbs are super important, because they help preserve muscle mass, prevent extreme food cravings, and most importantly, they give your body the energy needed for daily life! In addition to being the main and preferred fuel source for your body, eating carbs have also been shown to provide multiple health benefits. Eating whole grains, in particular, has been recommended by the American Heart Association, the American Diabetes Association, and the Dietary Guidelines of America 2015. Thus, it is SO IMPORTANT to eat adequate carbohydrates and energy! 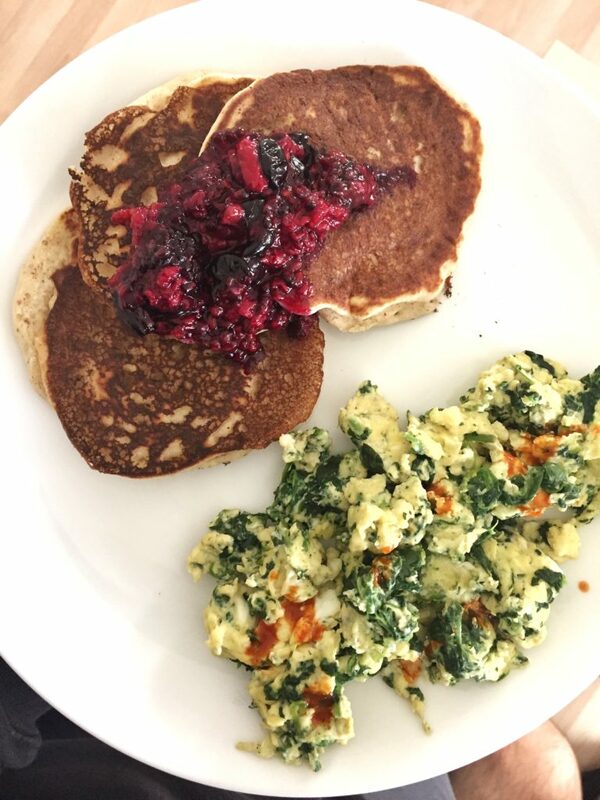 Sunday breakfast – pancakes with berries + scrambled eggs with spinach + hot sauce + unpictured mug of coffee with milk. Now that we know eating enough energy and carbohydrates is super important, let’s talk about hunger cues. First, I want to talk about some common techniques used to cover up hunger cues. 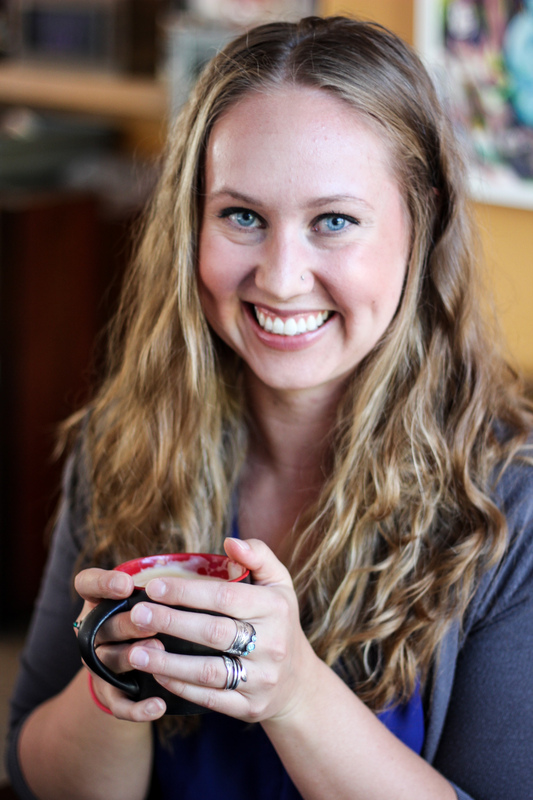 Do you drink diet soda, coffee, or tea when you are hungry? Chew gum constantly? Or lifestyle factors… Are you constantly on a diet? Do you have a busy, chaotic life? Do you skip breakfast? These are some techniques people use to try and tune out their hunger. Do you do any of these? If so, can you stop chewing gum for a day? Eat breakfast? Now let’s get practical and talk about how to honor your hunger. What is my hunger level? When was the last time I felt hungry? How did my stomach feel? Was I irritable, light-headed, or unable to think? Do I have stomach pain or a headache? Am I angry aka “hangry”? If you are someone who doesn’t get hunger signals like this, a good rule of thumb is to try and eat every 3-5 hours. It is also important to remember that your hunger cues will not look like anyone else’s. In fact, your own hunger cues will differ daily too. You may feel hungry at 11am instead of 1pm, and that is totally normal. So, how you can you tap into those little intuitive signals? 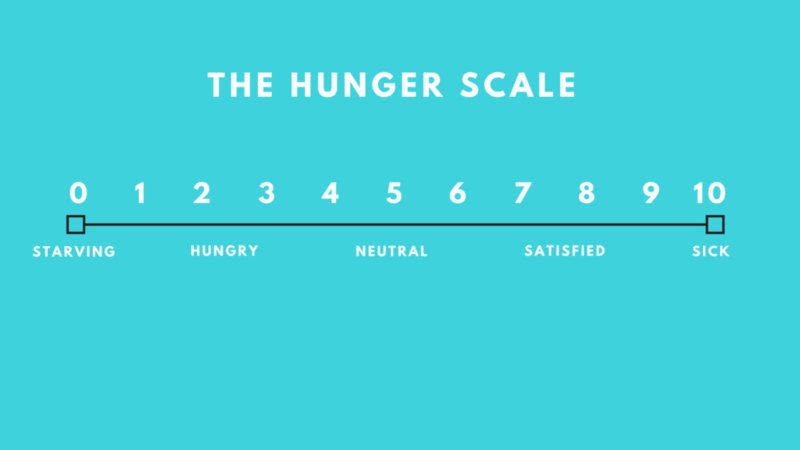 The hunger scale can also be a very helpful tool when you are starting on this path. The goal of the hunger scale is to help you tune in and identify your hunger levels. A number “1” on the scale signifies extreme hunger. Like, you are starving and will eat anything in sight. A number “10 is when you are so full you feel sick, or might be sick. Number “5” is neutral; you are neither hungry nor full. The goal is for you to be able to monitor your hunger and fullness levels so that you don’t ever reach a “1” or a “10”. A happy place to be is between about a level “3” to “8”. This means you are noticing that you are hungry, but not ravenous, so you need to eat. Once you start eating, you eat to a place of fullness and satisfaction, yet you aren’t feeling sick or stuffed. Do you think this is something that could work for you? If you are making food decisions in this space, you are less likely to impulse buy whatever sounds good. As well, you will be less likely to overeat if you don’t feel hungry. To add to this conversation of eating when you are hungry, it is also ok to sometimes eat when you are not hungry, or out of necessity. No rules! If you aren’t hungry, but there is an event with something delicious you love, eat it if you like it. 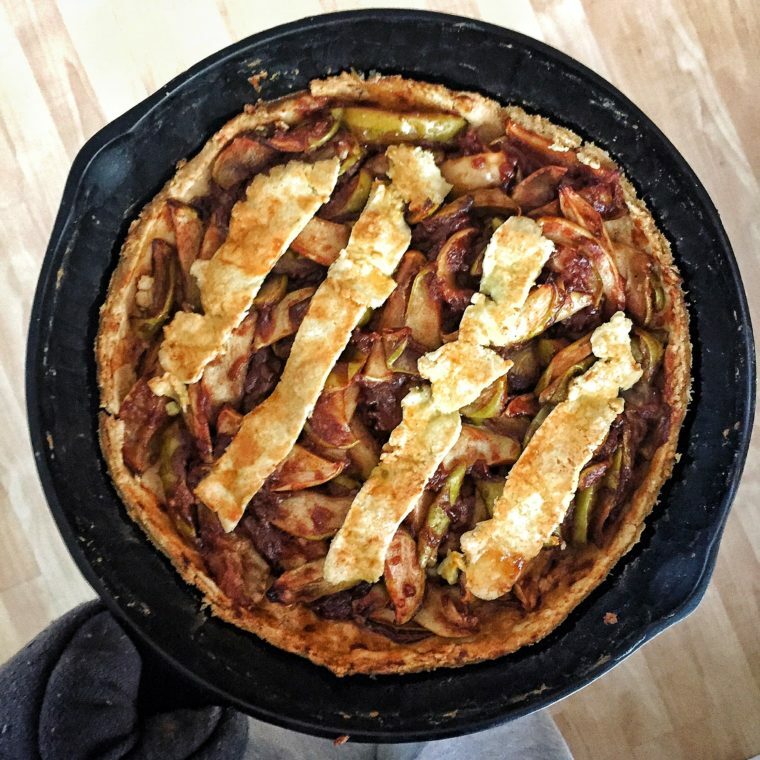 Food is a cultural and celebratory in a huge way. Remember the no food rules! It is also fine to eat if aren’t hungry, but you have an event later and you won’t have access to food in the meantime. I literally do this all the time. Take some time to make yourself a good sized snack, so that you aren’t famished and overeat later. Finally, once you are able to better understand what biological hunger feels like, you may be better able to tell if you are emotionally eating. Emotional hunger can stem from feeling lonely, bored, and/or angry. I will talk more about this in a later post, but for now, remember emotional eating doesn’t have to be something we completely avoid. It is ok to feel things and eat comfort foods sometimes! Thoughts? Questions? I literally love this stuff.